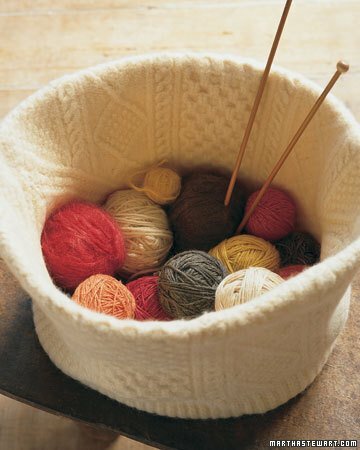 Turn an old sweater into a knitting basket. 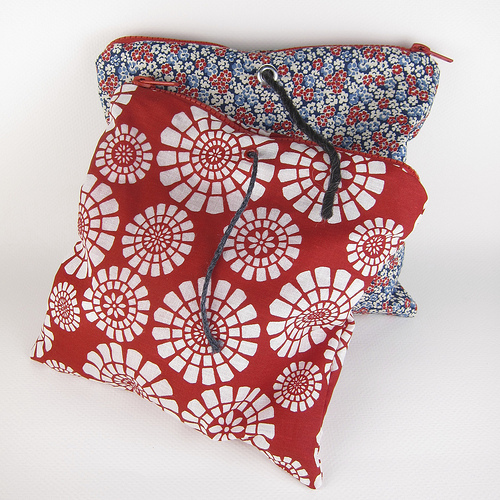 The yarn sack: a zippered pouch with a hole on the front to thread the yarn through. Keep all the yarn together and don’t worry about it unravelling. 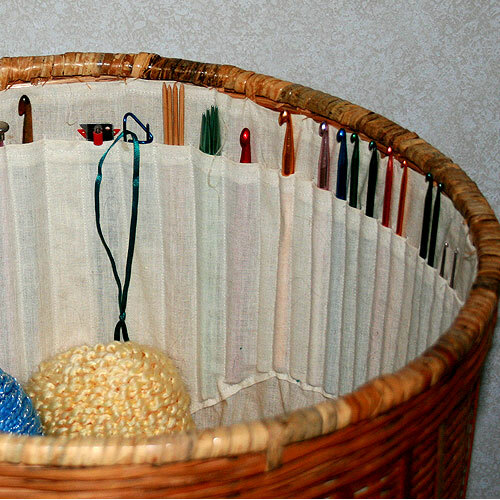 A yarn basket with an insert that holds both the knitting needles and the yarn. Love that last one- any idea where it can be bought or where a tutorial for it would be? Wendy–No, sadly, I don’t. All I could track down was the picture. It looks like the person sewed a liner for the basket with knitting needle pockets, then hand sewed the liner into the basket. It’s pretty neat.